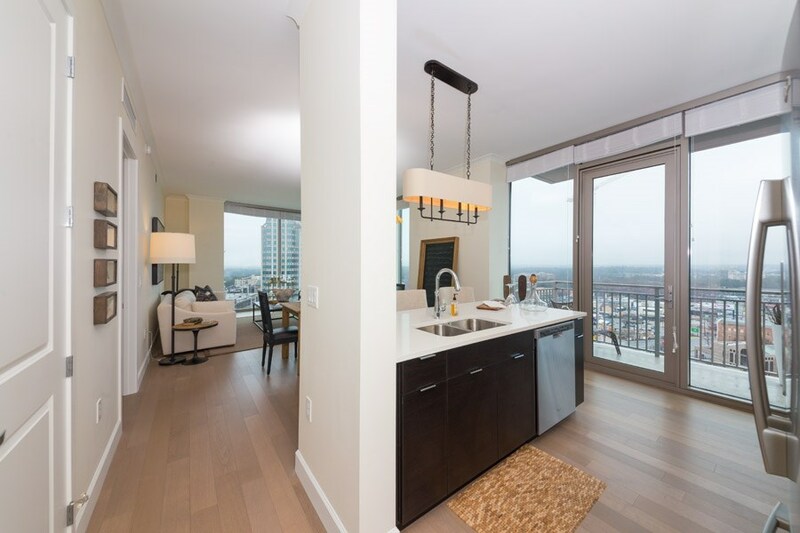 Featuring the most luxurious penthouse, studio, one, two and three bedroom apartments in the highly acclaimed Buckhead neighborhood of Atlanta. The Residence features spectacular skyline views from our penthouses and private balconies and is located adjacent to exclusive The Shops Buckhead Atlanta, right off Peachtree Road. The staff is wonderful, the apartment is in a great location, and overall the apartment is kept in great condition! Nothing ever works. Elevators and garage gate are consistently broken and I have been late to the airport (missed a flight) and office/meetings more times than I can count. I hope this email finds you well. Thank you for posting your thoughts about living at The Residence. Reading these reviews and hearing resident feedback is important to us, as we use it to make our community better for all of our residents. Resident satisfaction is of utmost importance to us and as soon as we are notified of a concern, we address it swiftly. We want to make sure you are comfortable in your home, especially after the recent building mishaps you've had to deal with. I know I spoke to you when the incident occurred at the gate a few months back and hopefully you haven't had another issue since then. Are you guys thinking about staying at the community or moving elsewhere? I would love to have you stay and be able to turn around this survey. My door is always open to chat. Noise level from Buckhead Village (street level) is way too high especially in the early mornings (e.g. really loud leave blowers plus street sweeping DAILY incl. weekends as early as 7am (!) is not something I feel comfortable to recommend to friends - at least for apartments facing the streets. I understand this is not under control by The Residence Management. The elevators break down way too often and there are glitches with the parking gates too often as well. The last month or so has been better on both fronts so hopefully theyÃ¢ÂÂve been figured it. The Residence of Buckhead is a wonderful, safe community to come home to; and I highly recommend it given its location, safety and cleanliness. I did at first, but once Im now falling victim to what my friends have warned me about from being previous tenants, IÂm now not as happy as I once was with it.. It is a spectacular place to live. I love it here. I feel it a little expensive for the value. Doesn't have as much of a community feel as when I first moved in. Thank you for posting your thoughts about living at The Residence. Reading these reviews and hearing resident feedback is important to us, as we use it to make our community better for all of our residents. Resident satisfaction is of utmost importance to us and as soon as we are notified of a concern, we address it swiftly. I know you mentioned the hallways need to be painted. We routinely our doing touch ups and if there is something specific that needs addressed, please let me know. Also, you mentioned the community doesn't have as much of a community feel as when you moved in. I'd love to discuss this with you and see what changes need to be made. We do provide several resident functions and weekly fitness classes but I want to make sure we haven't taken away something that you enjoyed previously. We want to make sure you are comfortable in your home, so please contact us directly, either in the office or via email at Lauren.Stewart@simpsonhousing.com. Thank you for your positive feedback! We take pride in our customer service and strive to ensure our residentâs needs are handled promptly and in a courteous, professional manner. Your satisfaction is important to us and we appreciate you taking your time to share your experience. Happy and satisfied residents are our ultimate goal. Again, thank you! Take out the carpet in the bedroom or offer the option for carpet to be removed from the bedroom. Also,light fixtures should be installed in the bedroom. A dog park should be added. Thank you for posting your thoughts about living at The Residence. Reading these reviews and hearing resident feedback is important to us, as we use it to make our community better for all of our residents. Resident satisfaction is of utmost importance to us and as soon as we are notified of a concern, we address it swiftly. I know you have had a few issues with your reserved parking spot this year and hopefully we have been addressing those to your satisfaction since we now tow cars from the deck. Also, being that all units need to stay uniform, at this time the carpet will remain in the bedroom. If this is something we ever decide to change, we will start in your home! We want to make sure you are comfortable in your home, so please contact us directly, either in the office or via email at Lauren.Stewart@simpsonhousing.com. Thank you for choosing The Residence as your home and I do hope we get to keep you for another year or 20! In the two years I've lived at The Residences of BA, the type of people who live here has completely changed. Lots of partying, loud music in the parking garage and thugish behavior. It's sad to see this happen to such a wonderful building! Thank you for taking the time to reach out about possibly renewing your lease at The Residence. We are deeply concerned by your review and are sorry you are frustrated but would like to speak with you about the situation you've mentioned. We will do everything we can to make your stay here comfortable. Please contact me at lauren.stewart@simpsonhousing.com or by calling 404-856-0817 so we can discuss it. Again, our sincere apologies and please know we don't want to loose you as a valued resident. High quality finishes. Maintenance is exceptional - in the common areas and at the pool and BBQ. Very clean, all common areas cleaned daily. The residence is quiet and tenants seem to respect that. And of course the location is great. Thank you for taking the time to fill out our survey. Your kind words have made our day and are very much appreciated. We do hope you continue to call us home. Thank you for taking the time to fill out our survey. Your kind words have made our day and are very much appreciated. We are excited that you plan to stay with us longer! Love this community and the team! Thank you for such kind feedback! We really appreciate reading the kind words and are happy you love living at our community.